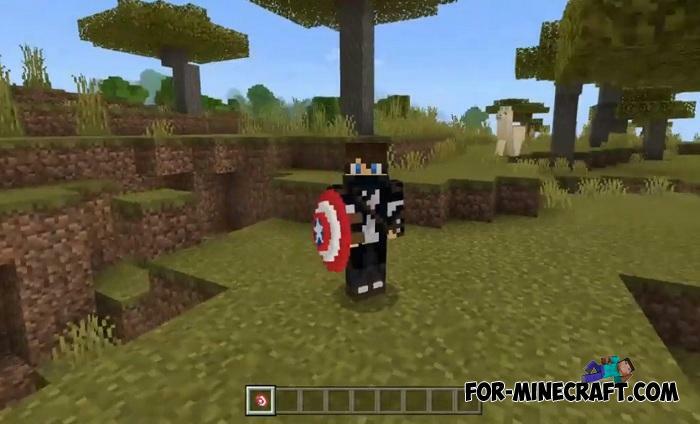 First you will need the second Project Superhuman PE Mod which will transform you into Cap and even add his shield in a different way. If you don’t need it then download and install this tiny addon to get Captain America's shield. 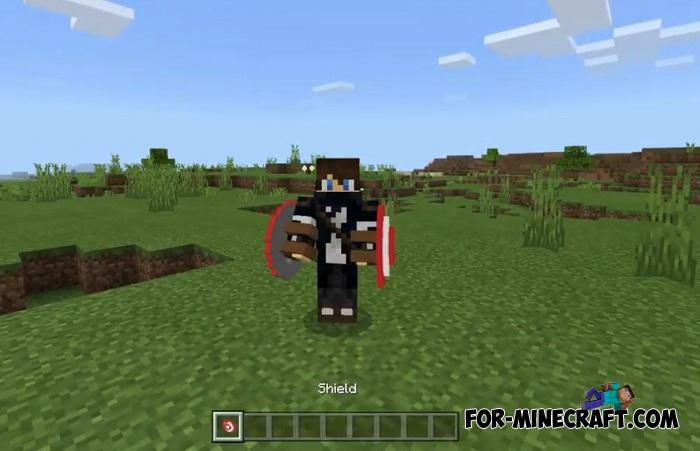 It is the simplest replacement for the vanilla shield that appeared not so long ago in Minecraft PE 1.10. Like a real prototype, the captain's shield withstands even the strongest blows and protects its owner from any threat. In Minecraft PE, so far you can not throw the shield like in the Caps movies and it does not go back like a boomerang. 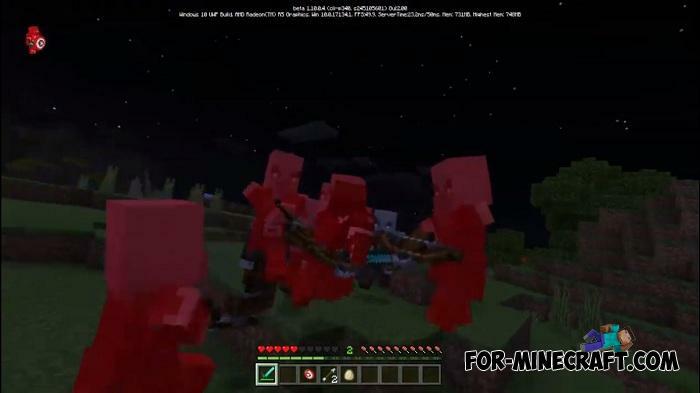 Its feature is that you can hold two shields in each hand at once, thereby blocking blows from several sides (in fact, only the side of the shield). Perhaps the appearance of the shield is an indisputable fact why you should download this addon, it looks amazing. How to install the Captain America's Shield Addon? The simplest Texture pack v2.0 for MCPE 1.9You are unlikely to find anything simpler than this texture pack. 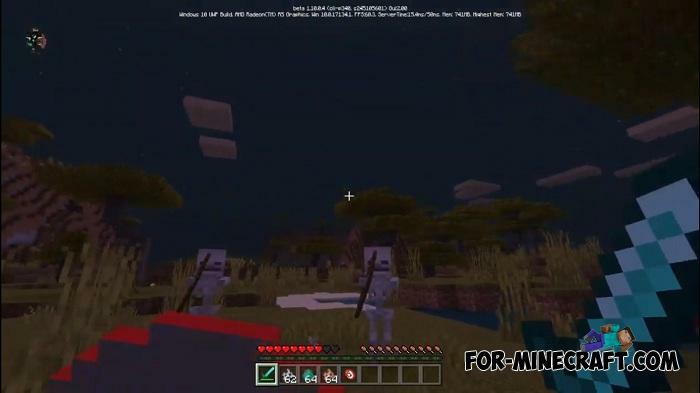 Keeping the original resolution, this pack replaces..
Project Superhuman PE Mod v6.4 for Minecraft PE 1.9Perhaps, Project Superhuman is the most advanced mod for Minecraft PE adds 36 superheroes..